PROFS, along with several campus cosponsors, is hosting a public forum on shared governance at 3 pm, Thursday, May 3 in the Wisconsin Idea Room in the Education Building, 1000 Bascom Mall (poster below). Karen Herzog, Milwaukee Journal Sentinel higher education reporter, will moderate. 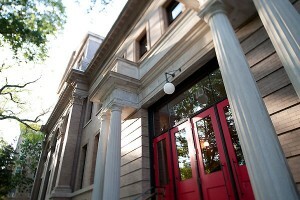 The La Follette School of Public Affairs, the Tommy G. Thompson Center on Public Leadership, WISCAPE (Wisconsin Center on the Advancement of Postsecondary Education) and ASPRO (Academic Staff Professionals Representation Organization) are cosponsors. PROFS is pleased to sponsor a public forum on shared governance at 3 pm, Thursday, May 3 in the Wisconsin Idea Room in the Education Building. Public higher education has faced enormous challenges in recent years — massive funding cuts, declining student enrollment, shifting perception on the value of a degree. 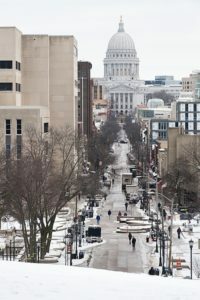 Many legislative leaders have called for the University of Wisconsin System, and UW-Madison in particular, to operate more like a business, often citing shared governance as a major impediment to institutional efficiency. Our panel of nationally known experts will guide our discussion.